A few months ago I decided to make my first Charlotte Tilbury beauty product purchase. I've been watching Charlotte's videos on YouTube for a long time and have always admired the products that she has created and uses to master her makeup looks. 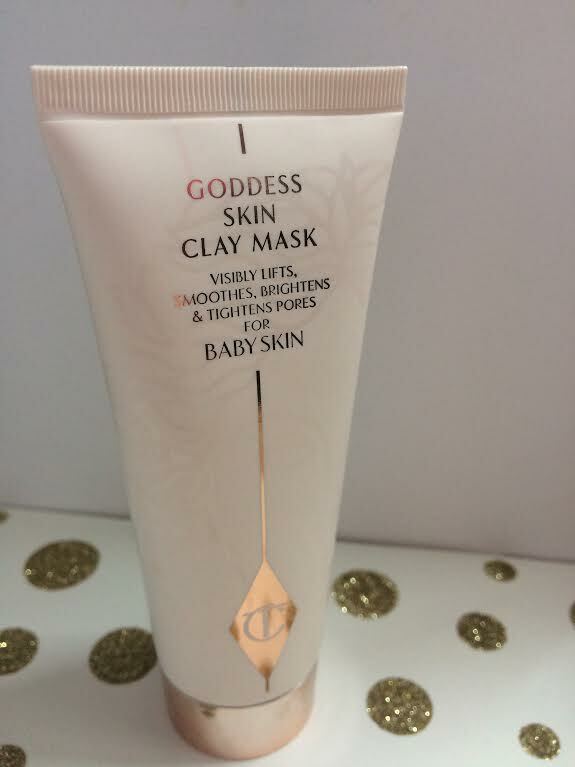 One of the products that caught my eye while watching a tutorial was the Goddess Skin Clay Mask. 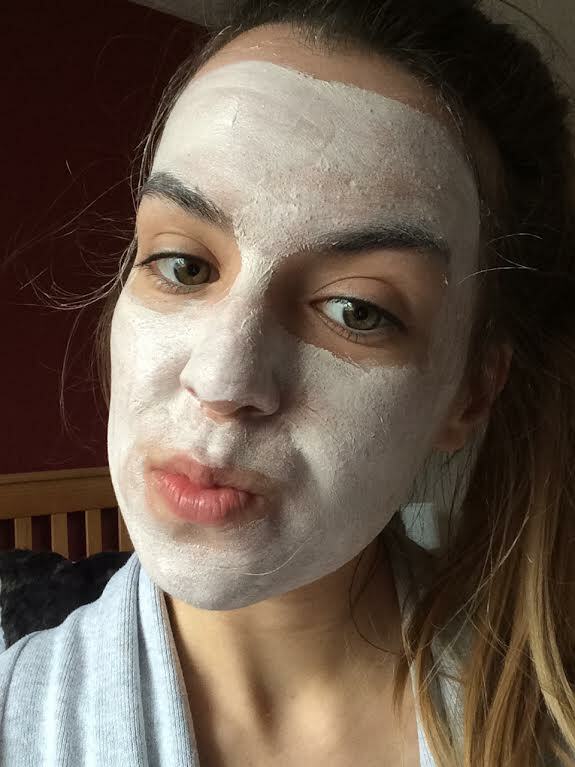 This is a face mask created by Charlotte to be used before applying makeup to ensure that you are 'red carpet ready'. The mask is based on a Mediterranean beauty recipe, and contains Spanish clay and sweet almond oil with nourishes the skin and delays signs of skin ageing. 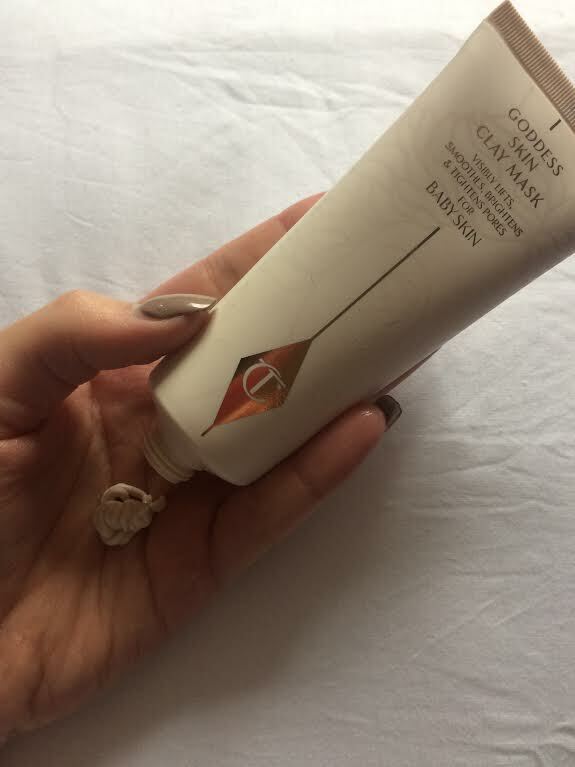 The Goddess Skin Clay Mask has very much been designed as an anti ageing product and the ingredients reflect this, one of the ingredients being BioNymph Peptide Complex. It also contains essential oils to hydrate your skin and prevent it from feeling dry or stripped of any goodness. Lastly, Frangipani flower extracts provide the skin with antiseptic properties leave you feeling as soft as a baby. Speaking of my own experiences using this product, I have been extremely impressed. The first thing to strike me when using the mask is that it's not a heavy texture, it's a really light texture, and when placed on the face it doesn't even feel like you are wearing a face mask, especially so as you are advised by Charlotte to use a thin layer. I feel like this is important because actually, do you really want your face to feel heavy when you are pampering it? I adore the scent of the mask too; it smells floral and really refreshing and relaxing. Again, I'm so pleased that as well as the texture being light, the scent is too. In terms of usage of the mask, like I said previously you only need to apply a thin layer of the product onto your face. However when applying the product, Charlotte advises you to follow her wonder workout massage technique, again this helps to prevent ageing. Once the mask has been applied, you have 10 minutes to sit back and relax, before removing the mask with a flannel (I use a muslin cloth) and hot water. The product leaves you with such soft skin, and reduced pores. I feel like it is important to point out that this is not a face mask that will make your face feel tight and stop you talking for 10 minutes while you have it on your face! That's something else I really love about it, but actually I just love it all round. The mask is on the pricey side at £45.00; however I only use this once in a blue moon as an absolute treat, and then use my usual face mask at all other times. If you are considering purchasing this mask then I can say that it is definitely worth it. Let me know if you have tried this face mask?